Today I got you guys my review of the Incipio Watson Folio Case for the Galaxy S4. The case comes in four different colors and is available in four different colors. 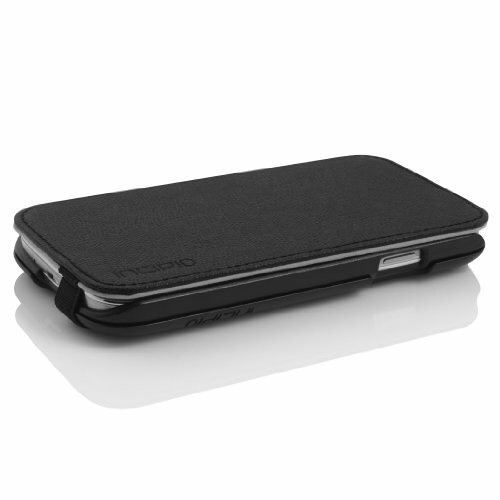 You find the case for a premium price of $44.99 on Incipio’s website or you can also find it on Amazon for $20. Links are in the description for pricing and availability if you’re interested. Now the Incipio Watson is a very unique case. It’s actually a two piece case and as you can see here you can actually remove a hard shell type piece from the case itself. While I’m not a huge fan of a wallet case I do like how it is very versatile. What I mean is you could use the wallet case say if you need to go to a work meeting, a formal event, or maybe you just don’t feel like carrying around your wallet. Then say later in the evening you don’t really need to use the wallet feature, you could just snap it off and use the hardshell case. I’m not really someone who would be in that position so I probably wouldn’t find it very useful. Anyway, there are a couple other cool things about this case. The first one is that you can actually access the volume rockers without having to flip open the cover. You can also use this rubbery piece to keep the front flap closed or to hold it on the back of the case. Overall, I think this case is targeted toward a specific group of people instead of regular people. That pretty much wraps up my review of the Incipio Watson for the Samsung Galaxy S4. A huge thanks goes up to our friends at Incipio for providing this case for review, and don’t forget to share this review as well. Thanks for watching and I’ll see you all next time.